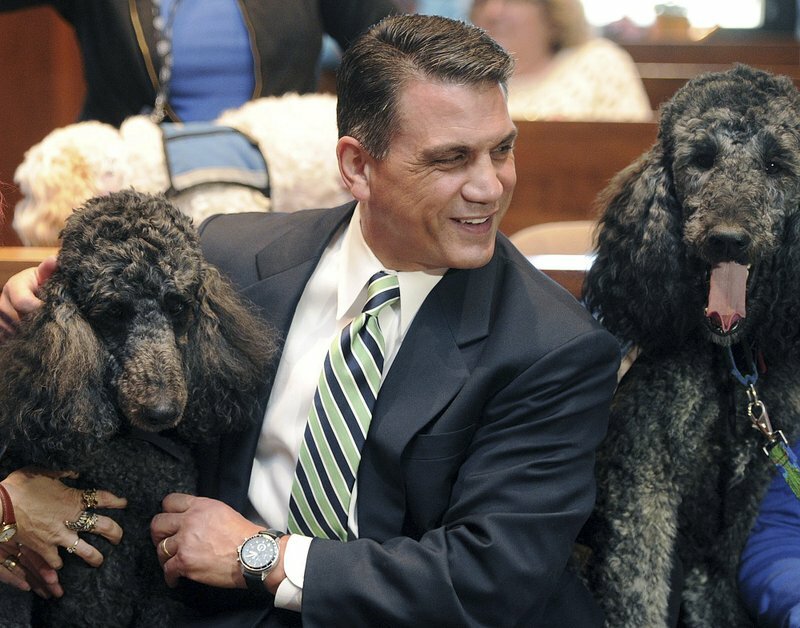 The use of dogs in courts has spread quickly across the U.S. amid a growing number of laws and rulings in its favor — and, outside of the legal world, a significant increase in the use of emotional support animals by the public. [post_ads]There are now more than 155 “courthouse facility dogs” working in 35 states, compared with 41 dogs in 19 states five years ago, according to the Courthouse Dogs Foundation in Bellevue, Washington. And that’s not counting an untold number of “emotional support dogs” that have been allowed case by case in many states. Many witnesses have been child sexual assault victims. There has been a divide among judges, however, with some not allowing dogs because of potential bias against defendants. And many defense lawyers don’t like the practice. Facility dogs are trained to provide companionship without disruption in courthouses, prosecutors’ offices and other legal settings. They work at courthouses all day, then go home with their handlers. Emotional support and “therapy” dogs are pets that can be registered with organizations and may or may not have been specially trained. Ivy Jacobsen, of Lake Stevens, Washington, said three facility dogs helped her get through the three trials it took before her father was convicted of sexually assaulting her when she was a teenager. After two hung juries, he was convicted at the third trial and sentenced to 16 years in prison in 2013. Studies by researchers at Wofford College in South Carolina involving mock jurors reviewing real cases have shown dogs have no effect on verdicts or witness credibility. The findings surprised the researchers, and they’re trying to determine why there is no effect. Dogs also are being used to comfort trial witnesses in other parts of the world including South America, Europe and Australia. One jurisdiction in Australia recently rejected emotional support dogs in courts, The Canberra Times reported . Advocates say defense concerns can be resolved by placing dogs so they cannot be seen by juries and having judges tell jurors the dog is there but not to make any conclusions about it. Defense lawyers, however, say it’s not that easy.